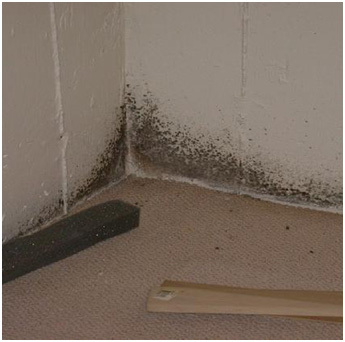 What falls under the category of "mold or mildew cleanup" ? As a full service company, Basement Waterproofing Etc. has a clear definition for you: mold abatement, decontamination or mildew cleanup is a safe, effective and removal of Mold Spores and growth from buildings, homes and personal possessions. There are many types of toxic mold which create health and structure hazards found in ceilings, walls, carpets, crawl space, basement, etc. The effects on the health and safety of individuals within the indoor environment are crucial. Mold can wreak havoc on your immune system. Every day, people experience unpredicted sick symptoms and allergic reactions like dizziness, nausea, weakness, sleeplessness, headaches and prolonged flu-like symptoms - seemingly without reason. If you have a small area that needs mold and mildew sanitizing; we seal off the affected area to prevent the spread of spores then perform mold sanitizing procedures. For a larger contaminated area, we create a containment barrier which seals off non contaminated area and sanitize the affected areas. Basement Waterproofing Etc. uses equipment such as air scrubbers and negative air machines, dehumidifiers, air blowers, air movers and more to rid your home of mold and mildew. Note, we use only eco friendly materials in our treatment process (no bleach or other harmful acids).